As we get into the meat of the NFL schedule, bye weeks are in full effect again. Week 5 leaves some prominent running backs on the shelf and deciding on replacements could be the difference between a win and a loss. Some NFL teams are getting deep into the roster due to injuries and others are trying out stopgap players. 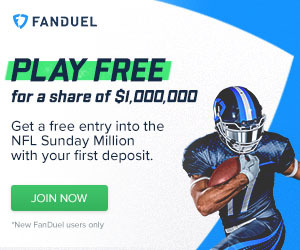 Of course this means that fantasy owners are doing the same thing. If you feel like your roster is too thin right now, check out the RB waiver wire picks for the week. Otherwise, let's get right into the rankings for week 5. Can Forsett follow up his big week 4 with another nice performance? This season, St. Louis has not shown the ability to play strong defense on a consistent basis. I think that Lacy, who is getting healthier, will feast on them. Bell is going to have to play a big role again without Big Ben in the lineup. Charles goes up against a bad bears team, I think that the Bears put up some points however and Charles may not see as many opportunities as owners would like. Luckily, he should make it up in the passing game. 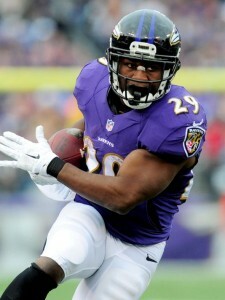 Forsett broke out in a big way last week and I think this will continue as Steve Smith is out for the forseeable future. Look for the Ravens to rely on the run game more. Matt Forte is a big part of what the Bears do on offense whether running or catching passes. He should have a nice day versus a suspect KC defense. Gurley showed up in a big way in week 4 and I look for that to continue against a Packers team that can be beaten on the ground. I like the matchup for Dion Lewis and LeGarrette Blount against a Cowboys team that is a sinking ship. Arian Foster should have more luck in week 5 than he had in his season debut, the workload should be there. Jeremy Hill faces a tough task, but he has a nose for the end zone. Devonta Freeman would be tough to bench right now, particularly against an awful Redskins team (although they aren't the worst against the run). Murray had a rough week and goes against a tough Denver defense, but he is too talented to not put up some points. 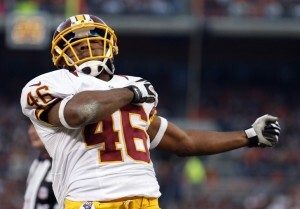 Alfred Morris looks to get his season on track versus a terrible Falcons run defense. Alfred Morris appears to have regained control of the Redskins backfield and they head into a tasty matchup with Atlanta's terrible run defense. Ingram faces a stout Philly front, but he should do enough to be a RB2. Whoever starts for Buffalo should have a decent stat line, right now it looks like it might be Dixon. Randle may not get a lot of carries as the 'Boys should be behind in a hurry, but he should catch a few passes with Dunbar out for the season. Lynch looks like he should play this week, but keep an eye on the injury news as the week progresses. Gore is never a great choice, but he faces a weak Houston team in a division matchup. I hate to have Hyde this far down the list, but the 49ers are horrible on offense right now. Murray is still looking for his breakout game, at this point I'm not convinced that it is coming. Doug Martin keeps getting carries despite being an uninteresting option. Woodhead should outdo Gordon in this game as the Steelers are easier to beat through the air, despite the beating they took from Justin Forsett. Hillman may have the upper hand in the Denver backfield, but for now the split should not be too uneven. Bernard continues to have value despite speculation that Hill would dominate the backfield. Chris Johnson stays ahead of Ellington for one more week due to lingering injury concerns. Duke Johnson Jr. may be a good play due to his pass catching ability and Baltimore's bad pass defense. Yeldon has not broken out yet, and probably will not due to a weak offensive line. Jennings has just not had a ton of value this year for the Giants, but the skills are still there. McFadden may pick up some slack left by Lance Dunbar's injury. Abdullah goes from one nightmare matchup to another as he faces Arizona in week 5. Mathews still looks to get more involved in the Philly offense as Murray is calling for touches as well. I'm not sold on Spiller after one big play, but NO should look to get him the ball more. Rawls touches will be dependent on Lynch's injury status. Sims is a decent play in PPR, otherwise he is a low end flex. Sproles always has the ability to take one to the house, but his touches are limited, like everyone else's in Philadelphia. Matt Jones is back to the bench, he has had one decent performance this year. Andrews faces the Buffalo defense, I'm not interested.